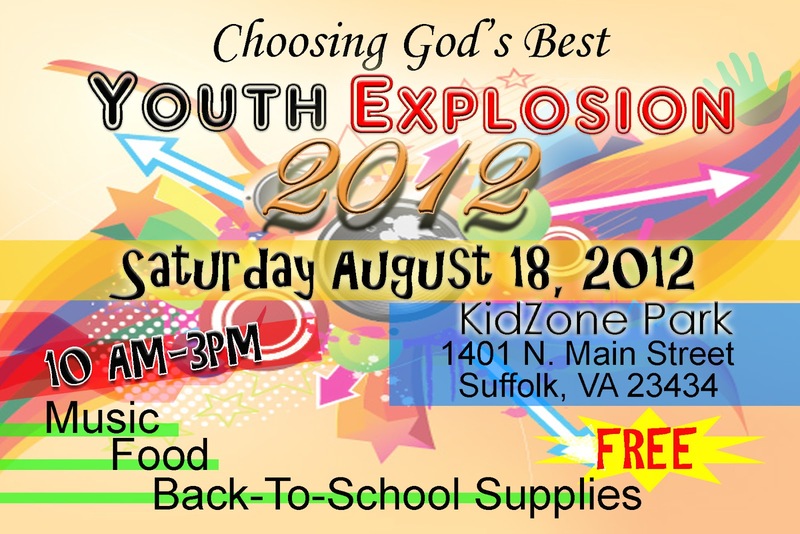 2012 Choosing God's Best Youth Explosion. Free and open to the public! Support Back To School Drive for Hampton Roads students.